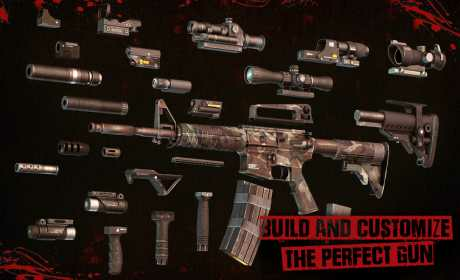 Hone your shooting skills in the military grade army training program AND become a Zombie Slayer who unleashes the deadly accuracy on zombies! The army training simulator demands only the best of you. In order to succeed you will have to work hard. Keep your nerves under control or break like a twig. You’ll need to make split-second decisions. Shoot bad guys, rescue civilians. Only the truly talented and hard-sweating operators will be accepted to the rank of the military special unit. After transforming into a fully trained harbinger of death you turn the gun barrel against the hordes of undead, pulling the trigger one zombie at a time. Gun Master: Zombie Slayer features an open shooting range with targets hidden along the way and zombies running to slaughter. Run against the clock and don’t miss a single one of them! 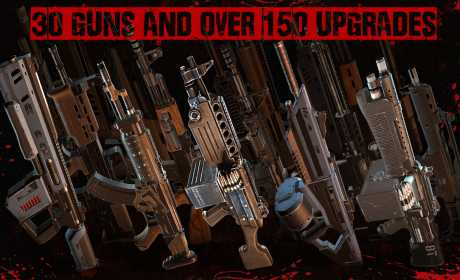 If you like guns, shooting and zombies all packed into one killer package then download Gun Master 3: Zombie Slayer to your Android right now! 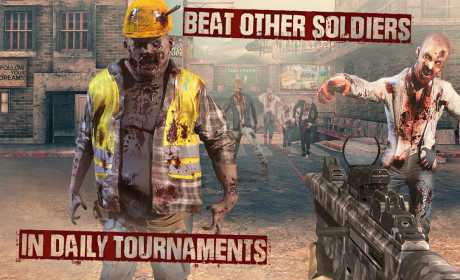 Can this great zombie shooter and gun simulator get any better? The answer is yes! It comes with a FREE price tag.